Everything’s in bloom! 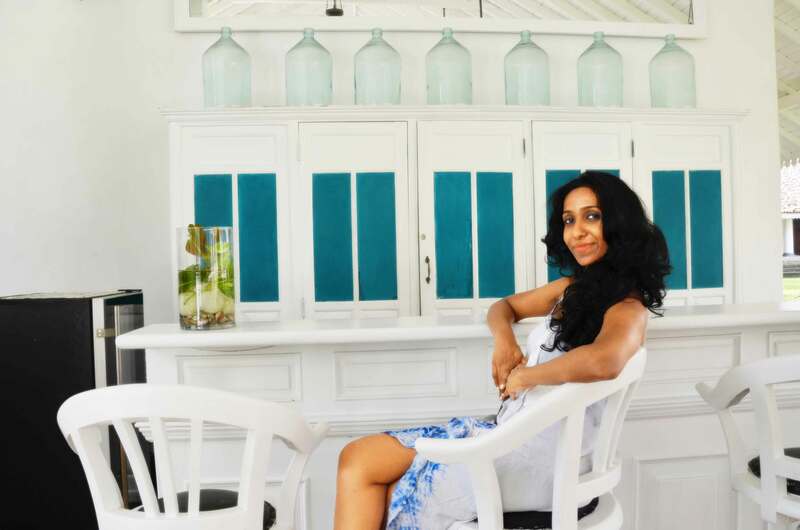 With the approach of April and the dawn of the Sinhala and Tamil New Year, it seems as though nature itself is preparing to welcome the festive season. 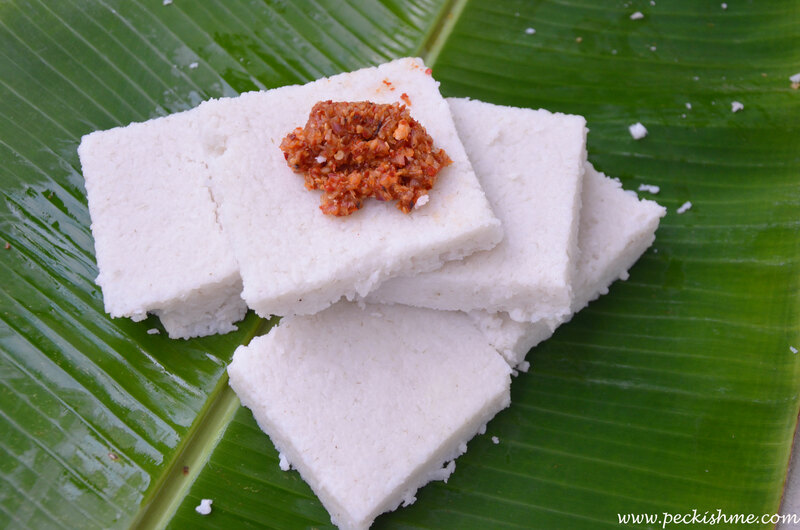 Avurudu falls on the 14th April this year (as with most years) and as most celebrations in Sri Lanka, Sinhala New Year is characterized by the many traditional Avurudu Food prepared for the occasion. And these treats inevitably have their own place in the Sri Lankan food scene. The smell of cooking, frying, baking and the hustle and bustle that is characteristic of the season hasn’t started as of yet. However, time is right for us to get pounding, grinding, sifting, seeping all those amazing little treats for the Sri Lankan New Year. 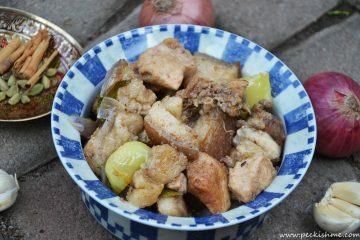 In the spirit of the season, I’m going to share with you a few Avurudu recipes that I have in my repertoire. The inevitable. The indispensable. 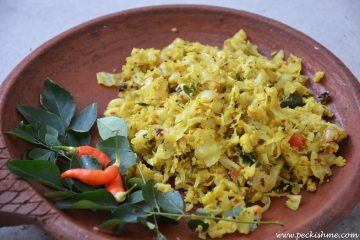 Buy a new clay pot, scrape some coconut and on the Sinhala and Tamil Avurudu day at the auspicious time, cook the kiribath for the whole family. Find the recipe and some background information on this unique treat here. 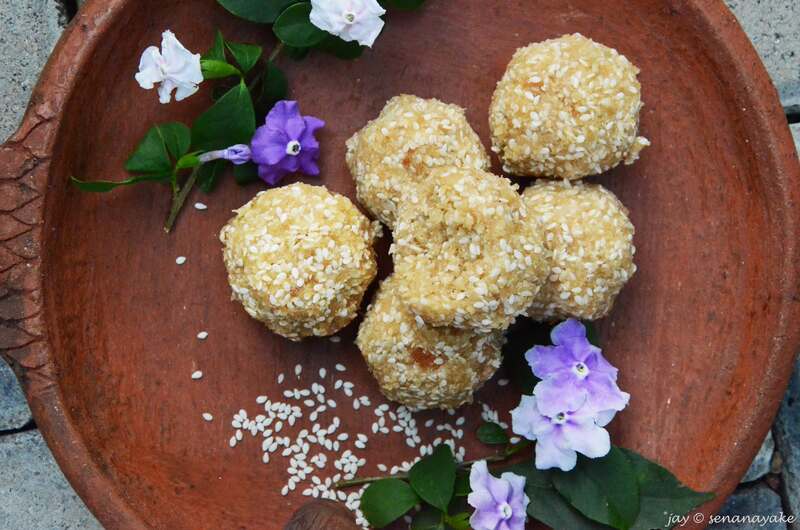 Kevum, or oil cakes are considered as a bit tricky to make but once you’ve mastered the art, you will be churning these babies out at double the speed. 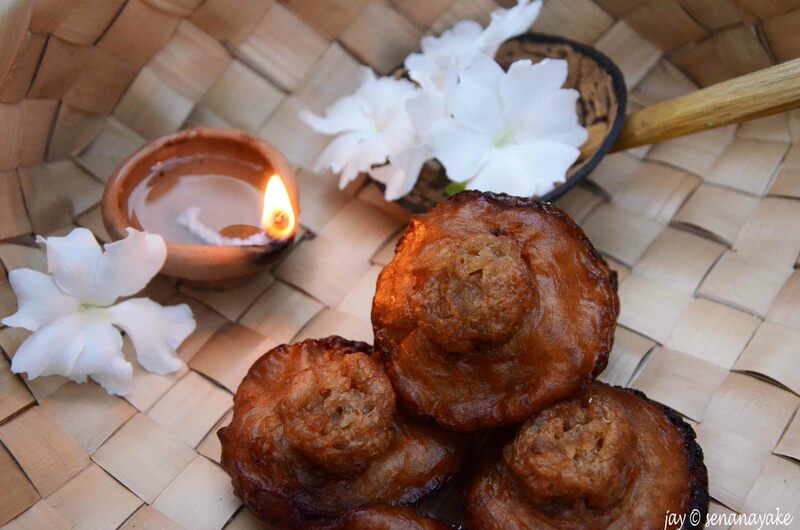 With a crispy skin on the outside and a moist and doughy inside, this delicacy is made up of kithul treacle, rice flour and coconut milk. This kokis recipe is famous! 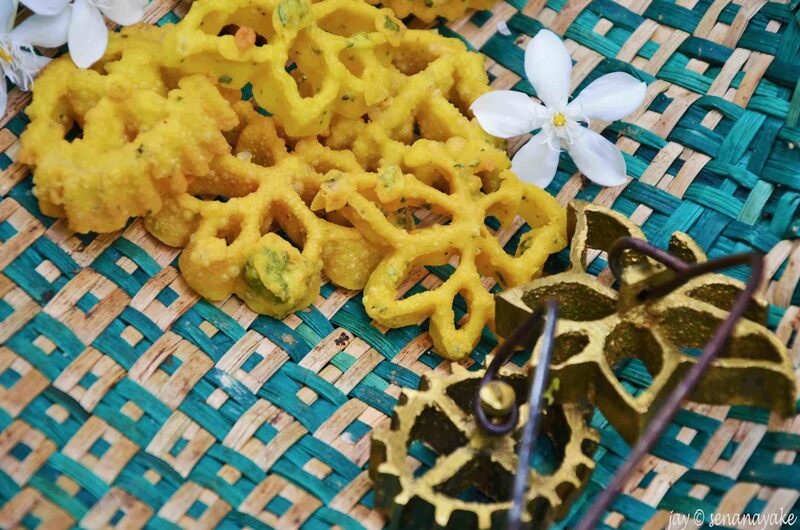 A rice flour batter deep fried in mold, kokis is popular among Sri Lankans as a crispy crunchy treat ideal as a snack. This is my mother’s recipe. 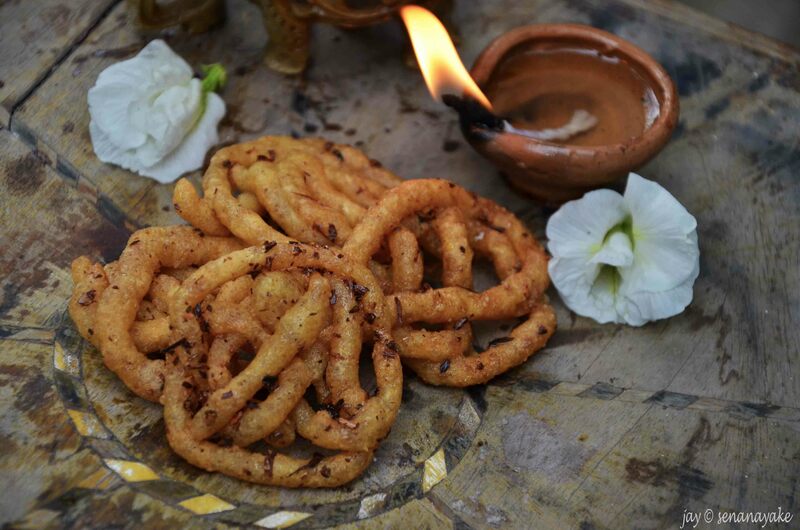 Deep fried urad dhal batter is immersed in a thick, sweet and spiced syrup to create this juicy wonder. 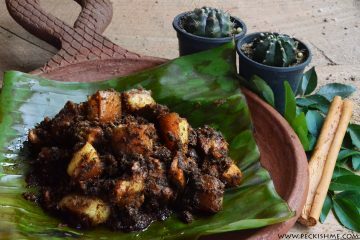 While pani walalu remains a thorough favorite among Sri Lankans, only a few can make it perfectly. And I have never come across any pani walalu any where in the country as good as my mother makes them. 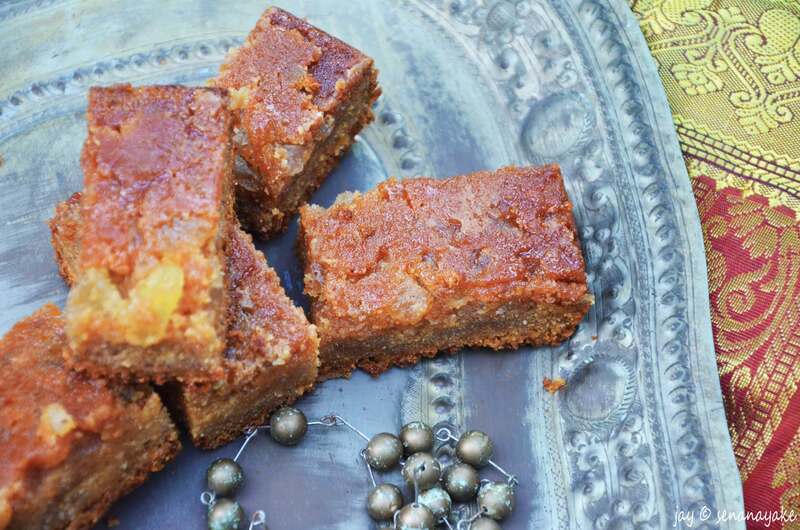 A sticky, moist Sri Lankan coconut cake from the sunny south coast of Sri Lanka. 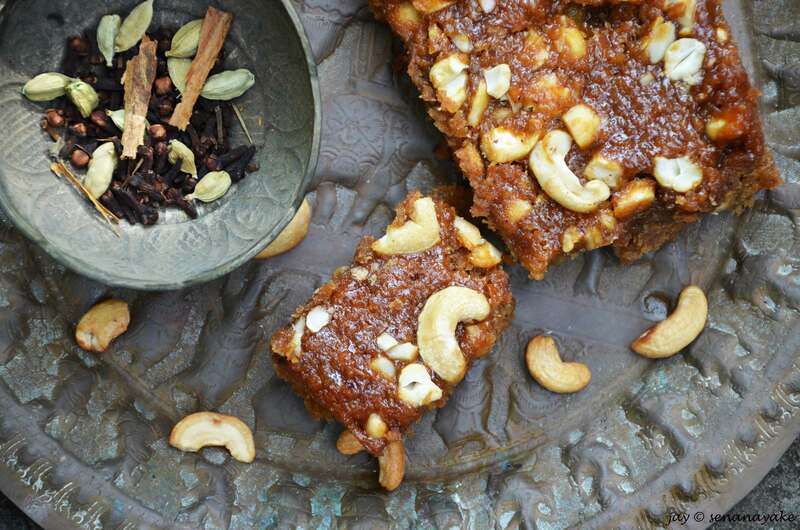 This is a decadently syrupy cake made from kithul jaggery, semolina, an exhilarating combination of Sri Lankan spices and of course, freshly grated coconut. My mother makes a killer bibikkan. Get the recipe here. 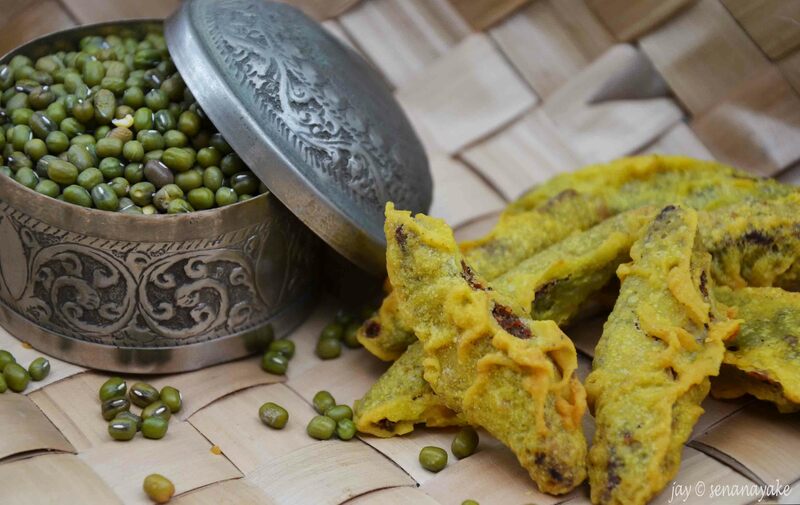 A sweet mung bean paste is coated in a rice flour wrapping and is deep fried to make this unique Sri Lankan sweet. Completely vegan and gluten free. Get the recipe. This right here is an absolute favorite! 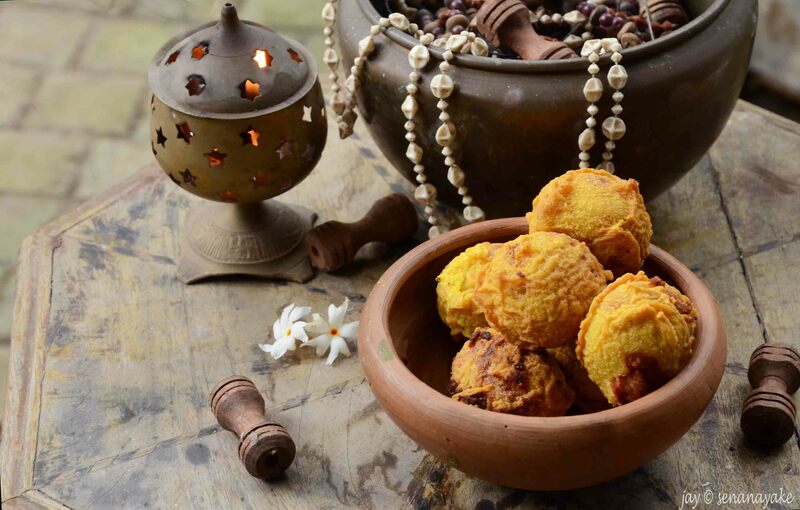 Yet another treat from the southern coast of Sri Lankan where my mother grew up as a child, this Sri Lankan food recipe consists of a cococut centre caramelized with kithul treacle and a blend of spices, coated in a turmeric infused rice flour paste and deep fried to perfection. Get the recipe here. This is my father’s favorite. 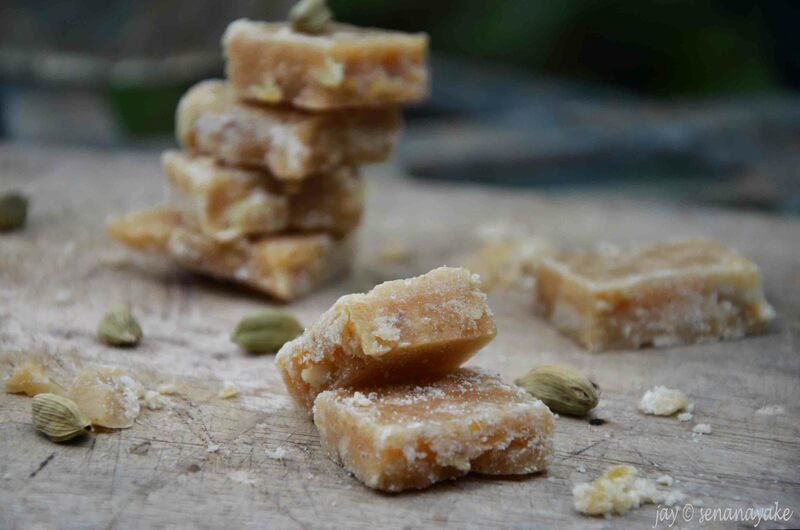 Combining boiled and mashed potato, sugar and a few pods of cardamom, the potato fudge is a constant visitor on the Sinhala New Year table. Not necessarily an Avurudu sweet but is a delicious Sri Lankan sweet nevertheless. While most prefer to purchase this off the shelf from the supermarket, you can make even more delicious ones right at home. Get the recipe. While not a traditional Sri Lankan food, a plate laden with pieces of butter cake is a must on every Avurudu table. 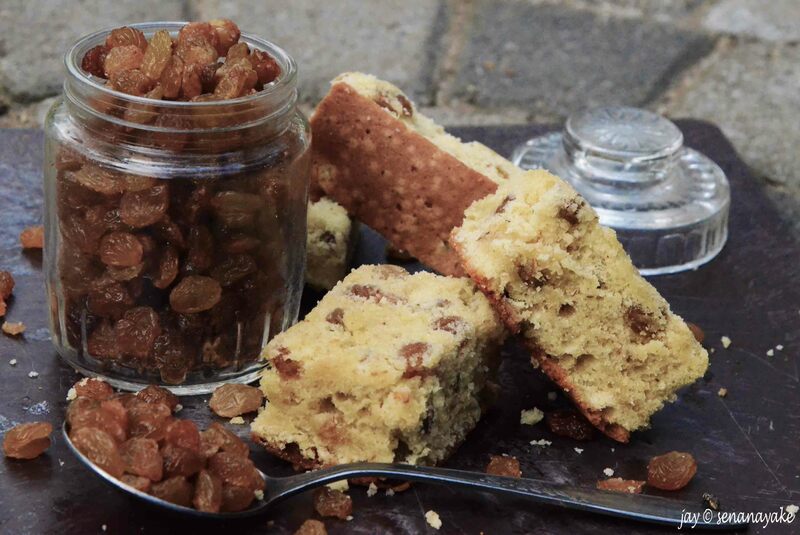 Why not convert your plain butter cake to this delicious sultana cake this time?